When something is done with love and passion, it can hardly go wrong. 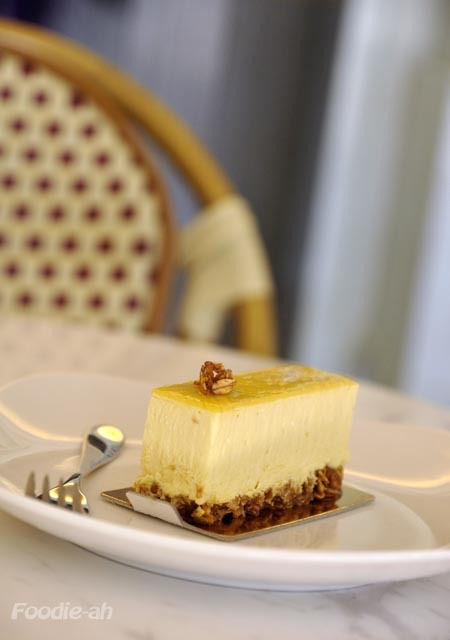 That is the case with Pavé, the next kid on the block when it comes to patisserie in Singapore. 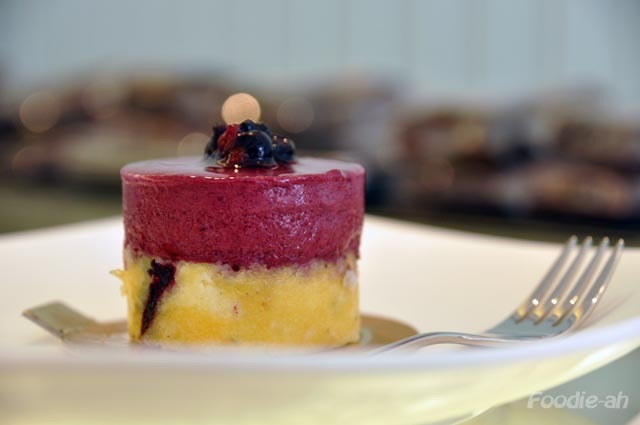 Quite a few patisseries opened recently in Katong, within a fairly small area. I can list a few, in chronological order: Gobi, Obolo, Indulgence, Temptations, Awfully Chocolate, and now Pavé. 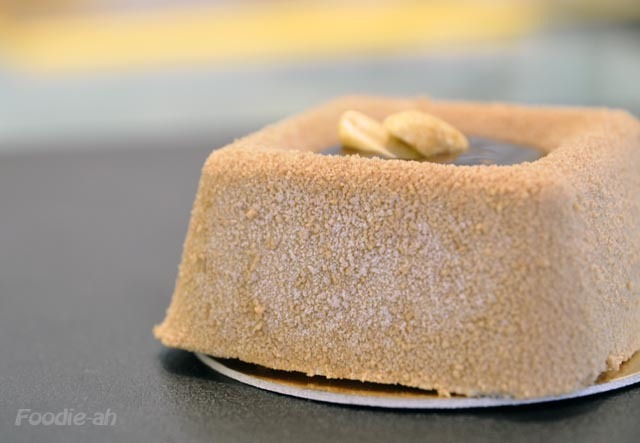 While Awfully chocolate aims at the mass market and its success is primarily based on its marketing rather than the product, the other patisseries do try to deliver a good product. So what distinguishes Pavé from the rest? To me, it is quite obvious at a first glance, as you look at the display from outside. 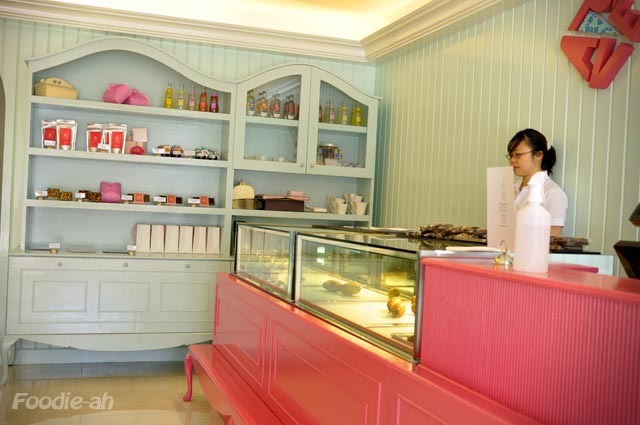 The shop provides a full experience from the moment you step in, with its pastel colours and cozy design. It's like stepping into someone's house, except you are in a fairy tale. All the friendly staff working at Pavé are in there for the passion rather than the money. They know the product, and they love talking about patisserie. While browsing their display shelves, I came across a few jars of jam and more importantly a jar of salted caramel, which I bought without thinking twice. As I tasted it, and it was as good as I hoped. It is meant to be eaten with bread or croissants, but I love it on its own. It leaves a beautiful flavour lingering in your mouth, with that balanced combination of bitter and salty. The chocolate brownies are also among the best I have tried so far. Every bite of it almost feels like eating chocolate truffles. 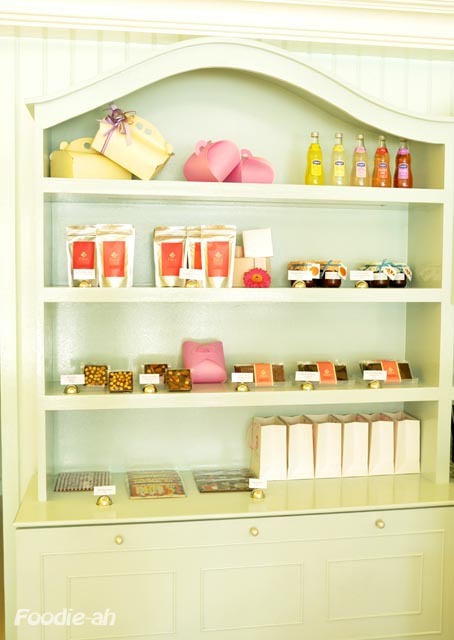 At the moment, the display includes 6 types of desserts (3 fruity ones and 3 chocolaty ones), chocolate brownies, beautifully presented chocolates (topped with drawings or nuts / fruits), and a few types of jam. They are working on their macarons, which they haven't started selling yet, and they are waiting for some top quality chestnut puree to be delivered from France, before they can start making my favourite desert: the Mont Blanc. With such attention put into the selection of the raw ingredients, I am sure this will be a seriously addictive version of it. I am looking forward to that! I later discovered that the cozy entrance and display is not all there is to this shop. 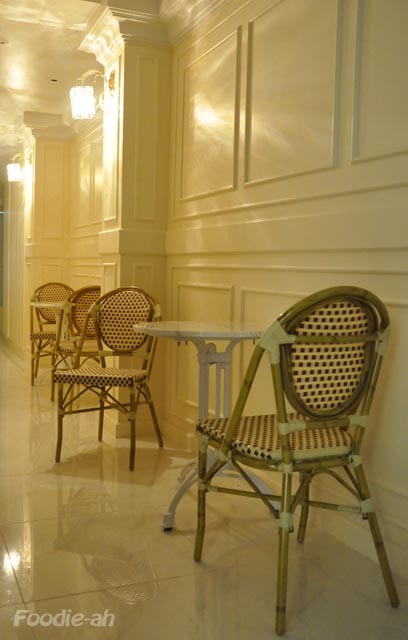 Well hidden around the corner behind the chairs and tables is an antique looking corridor with more seatings for those who prefer more privacy, and a staircase leads to the upper floor of the shop house where renovation work is still ongoing, but it will eventually provide additional space. A visit to the toilet confirmed my first impression: they do have attention to detail. 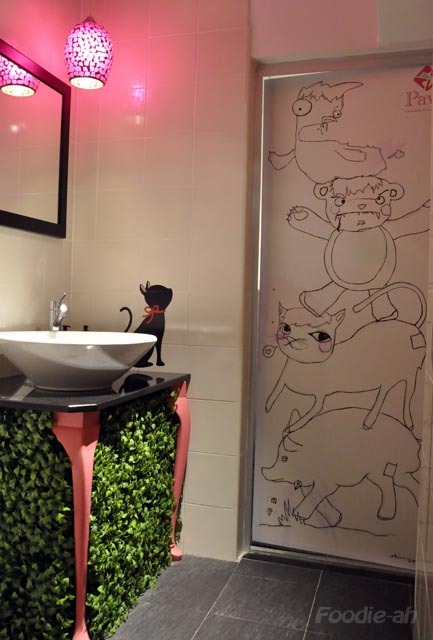 Even this space had to be matched, and they turned it into a toilet you will want to visit. Sketched on the door, you will notice a 4 cute animals that represent the enthusiastic owners. I get excited when people do things with pride and passion. I get especially excited when this happens right in my neighborhood. I wish Pavé all the success that they deserve. i went Pave last few days and tried the chocolate banana cake. Delicious! Anonymous - you convinced me. I will try that this weekend. Stargirl - They have only just started and I am sure they will have more products some time from now, but I still recommend paying a visit now. 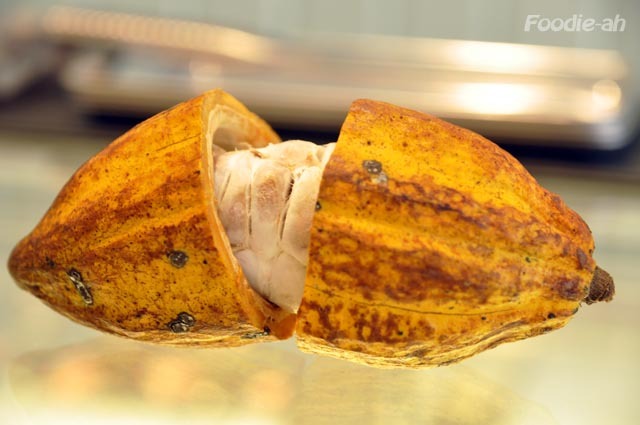 The team at Pavé Chocolates just want to drop a line to say thank you again for visiting us. We'd also like to inform you that in the event you wanted to visit us this Monday 16/08/10, please note that we will be open from 5pm onwards. Its been a hectic week for us and surely every slave needs a day off once in a while. Therefore, we will be spending a nice early lunch at La Strada before going off to buy some equipment. 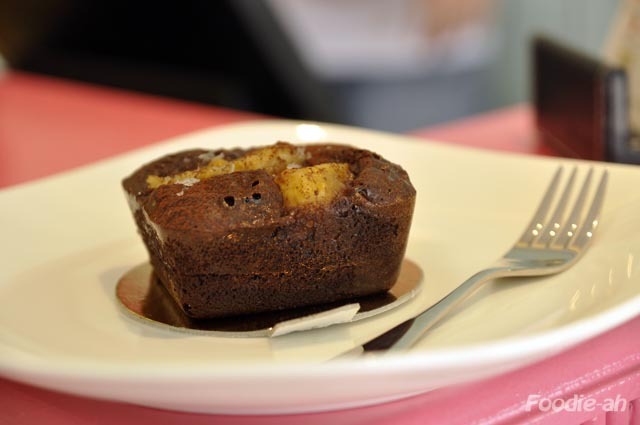 Therefore, in the event u need a Monday 'cake-me-up', we'll be there ready to rock from 5pm onwards! The review looks fantastic. And that salted caramel you mentioned sounds fabulous. I shall make the long long trip to katong someday! Yes it is. I updated the post. Thanks!